A dominant second-half performance from Sale Sharks saw them come from behind to beat Saracens 22-19 in their Anglo-Welsh Cup encounter at AJ Bell Stadium on Friday. Fly-half AJ MacGinty got Sale Sharks off to a perfect start with a third minute penalty but Sarries bounced back with a touchdown from Will Skelton in the 11th minute with Max Malins slotting a penalty and a conversion on either side to make it 3-10 in favour of the visitors. MacGinty reduced the gap from the tee but Sarries were controlling proceedings and their stand-off added a brace of three-pointers to take them 10 points clear. The Sharks were struggling for possession, with the away side's inexperienced playmakers doing a fine job of dominating the game, but the hosts were gifted a score late in the half when Curry latched onto Scott Spurling's overthrown line-out. 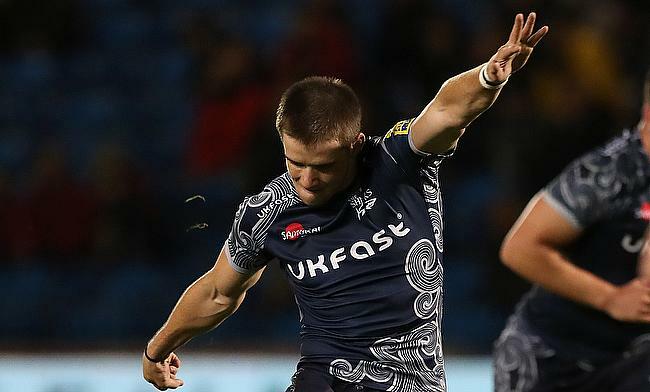 Sale Sharks suffered a major setback when MacGinty was sin-binned in the 34th minute for a cynical infringement while Malins slotted his fourth penalty to stretch Saracens' lead to six points at half time. The hosts showed a lot of intent in the second half when Alexandru Tarus (50') and Mike Haley (69') scored tries while scrum-half Will Cliff (44') and MacGinty (66') slotted a penalty apiece while Saracens' only response in the second half came from a penalty from Malins as they succumbed to a seven point defeat. Sale Sharks top Pool 2 with two wins from as many games while Saracens are top in Pool 3 despite losing both the games - courtesy a couple of losing bonus points.